iTunes is a complex and powerful media tool, which means there's a lot to know about it. Here we'll help you learn the ins and outs of using iTunes and the iTunes store. Besides working with your iPod or iPhone, iTunes offers a powerful way to manage your music library. Use these articles to learn how to add songs to your library from CDs, how to burn your own CDs, and some of the hot issues in digital music. You'll also find out what the difference is between AAC and MP3 music files. How do I Convert iTunes to MP3? Part of the fun of iTunes is creating playlists, sharing music with friends and family, and discovering new music with iTunes Genius. You may be unaware that your family can share music between members, for example, or that iTunes can offer suggestions of music you may like based on your tastes. You can even have iTunes build playlists for you automatically. How many times can I Burn iTunes Playlists? Is shuffle mode in iTunes Truly Random? One area in which iTunes is pretty complicated is transferring an iTunes library to a new computer or restoring a library from a backup after a crash. This gets especially complex when iPods and iPhones are involved. Do you need special software for this? Can you give away your music on an iPod? These articles sort out some of the confusion for you and help you figure out what to do. How do I transfer my iTunes music to a New Computer? Can I Give Away an iPod and let the recipient have the music? The basics of using iTunes to manage an iPod, iPhone, or iPad will get you listening to your music on these devices. But there are a number of advanced features and tricks that can make life easier and more fun. As anyone with an iOS device knows, the App Store is the thing that makes the platform truly versatile and exciting. While app reviews are one part of using the App Store, there's more to it than that. Learn the basics of installing apps, the costs of downloading apps, and whether you can use those apps across multiple devices — or do you have to buy the app for each device. Can I Get iPhone Apps Without iTunes? Do I have to Buy an iPhone App for each compatible device? Can iPhone Apps Be Synced to Multiple iPhones and iPod touches? Can I Redownload Apps purchased from the App Store? 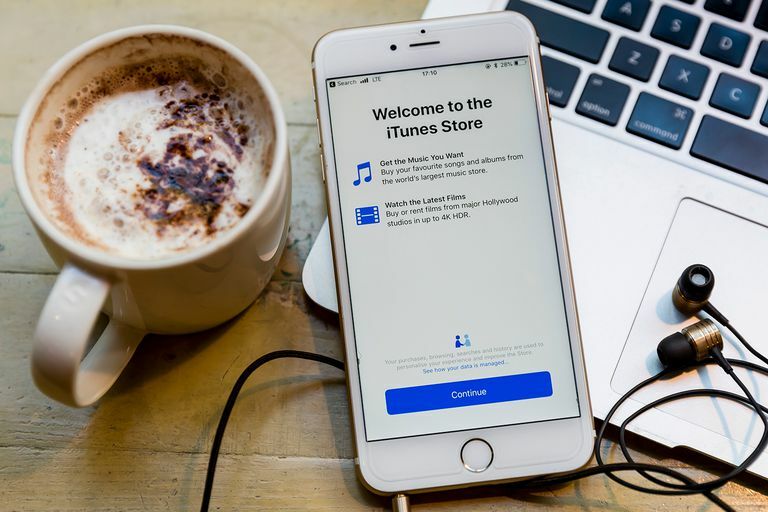 While iTunes may be the first name that springs to mind when you think about buying music downloads, it's far from the only online music store that works with the iPod, iPhone, and iPad. Streaming music services like Spotify and Pandora offer different ways to access and discover new music. And iTunes Radio is another option for enjoying music. How can I Get Free Music for iTunes? There are few gadgets as popular with today's pre-teens, teens, and young adults as the iPhone. Some parents may have concerns about what their kids can access with these devices. But there are tools that can help manage what they have access to. What does it mean to jailbreak your iPhone, and will that affect iTunes? What can you do about duplicate songs in iTunes? Can you change the album art for music? Here are topics that don't fit the categories above, but offer useful information to round out your knowledge of iTunes. Can you use iTunes with other MP3 Players? Can I Create an iTunes Account with a gift card? Can I Redownload an iTunes store purchase? When I Import a CD to iTunes, the songs have no names. Why?